Tijuana, Mexico has established itself as a major player in medical tourism for weight loss surgery. Thousands of patients worldwide who suffer from obesity and its related diseases are traveling to Tijuana to take advantage of affordable bariatric procedures. Centers for Disease Control and Prevention (CDC) reported some incidences of infections occurred among Americans who had received medical procedures, especially weight-loss surgeries, in Mexico. Most of the cases have occurred in patients who were lured to inferior medical tourism companies with cut-rate surgery packages. The Mexican government authorities have already taken action regarding the CDC report and closed the Grand View Hospital in Tijuana, Mexico, where most of the infections happened. The hospital offered one of the lowest weight loss surgery packages ($3,599) in Mexico. Infections caused by this particular drug-resistant strain of Pseudomonas are difficult to treat. Patients typically require long and “complex antibacterial drug combinations and courses” to defeat the infection. The patient’s who used that hospital may be at risk for other infections like Hepatitis B/C or HIV, but having a Pseudomonas bacterial infection does not increase a patient’s risk of having viral infections. According to CDC, an estimated 51,000 healthcare-associated P. aeruginosa infections occur in the United States each year, with 6,700 of the cases are Multidrug-resistant (MDR) Pseudomonas infections, leading to roughly 400 deaths. As it is clear, the MDR infections acquired in Mexico is rare compared to other parts of the world, including the United States. 1. The patient needs to have an extremely low immune system with a large, open wound. Also, the environment has to be heavily contaminated for this infection to enter the body. No routine bacteria sampling from operating room. 3. The surgeon also plays a major factor in this as the material they use and their level of expertise. Surgeons need to be certified and vetted with proper education and experience. The material they use is also of prime importance as some surgeons buy off-brand surgery materials from black market often not factory-sealed. For most people, Tijuana is the biggest thing that has happened to health care in many years. Patients can now afford to have life-changing weight loss surgery for a fraction of the cost in their own country. However, patients must do their research and find affordable companies with excellent track records who do not cut corners to offer the most affordable packages. At Mexico Bariatric Center (MBC), we offer the most budget-friendly prices with quality in mind. The surgeons working with MBC offer the utmost care for patients. 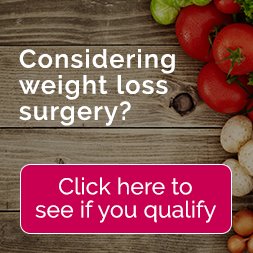 They are certified with thousands of bariatric surgeries under their belts. They only use brand-name factory-sealed materials and instrumentation. MBC uses a bariatric-specialized hospital, Hospital Mi Doctor, with over a decade of experience with nurses and staff expertise in this field.